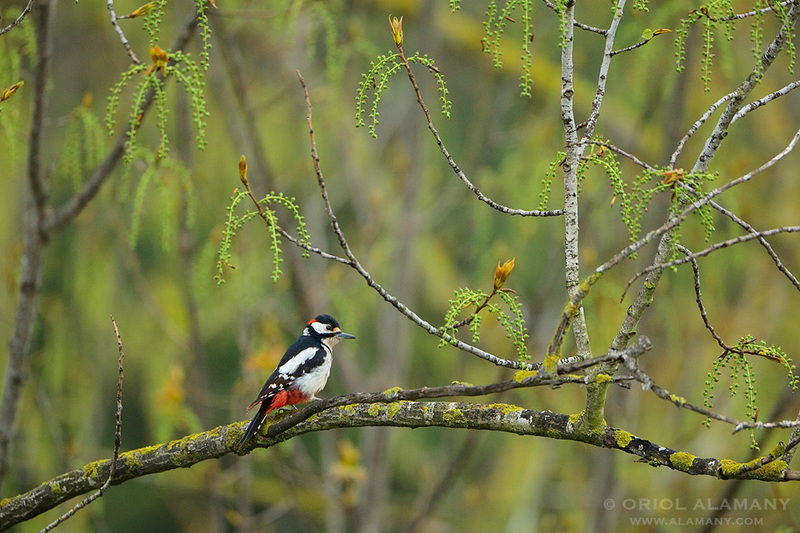 Great Spotted Woodpecker in blooming trees. This year I have a very special and not so easy assignment: to photograph the annual cycle of the biodiversity of a very small mediterranean area in the vineyards of a winery near Barcelona. Here there are not spectacular landscapes, not polar bears or lammergeiers, only small wildlife and some wildflowers. Sometimes is much more difficult to catch these in pictures than some emblematic species. This reminds me my origins photographing robins, wagtails, frogs, poppies and orchids. Now spring is slowly coming so, after the winter rest, this landscape is becoming alive.